Posted August 9, 2016 by oceanoracle & filed under Mollusks. This just in: according to the Associated Press, the benefits of flossing have never been scientifically tested! This means that for all those years our dentists were telling us that flossing was proven to reduce the risk of gum disease and other oral health ailments may have been misinformation. While the jury may still be out on the actual benefits of flossing, there is some research being done about one special way to take extra care of your teeth, and it has to do with mollusks – but you don’t have to eat them. 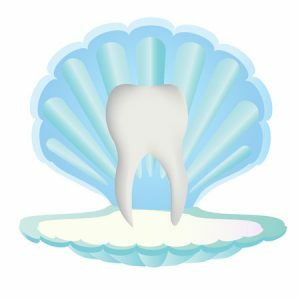 JADA – the Journal of the American Dental Association – is busy now with testing the efficacy of flossing on some patients in a lab, but a few decades back they published some interesting articles of note that mention the marvelous mollusk. In an article published back in 1986, the journal discussed an adhesive protein found in mussels that could have potential benefits for your teeth. Mussels contain a special adhesive that they create to anchor themselves to just about any surface. Even as far back as 1986, JADA suggested that the properties of this adhesive could be used in dentistry to fix broken teeth or stabilize fillings. Well, as it turns out, the scientists at the University of Connecticut who discovered these properties may have just been scraping the surface. Back in 2013, researchers at the University of Hong Kong and Anhui Medical University discovered that sensitive teeth are often caused by exposed dentin tubules, structures that connect to the nerves beneath teeth. However, by applying a treatment of protein-based glue that was similar to the mollusks’ natural adhesive, teeth began to form mineral crystals on their surface and inner dentin layer, reducing and reversing tooth sensitivity, reported the South China Morning Post. The same study also showed promise for tooth enamel as well. The same coating resulted in remineralization of enamel alongside the dentin, noted Dr. Allan Melnick, a dentist in Encino, California who reviewed the study, meaning that this approach could even help restore some of teeth’s shiny, protective veneer. These incredible creatures may not look like much when their shells are closed and they’re stuck by their own glue to the side of a rock, but if one little property in their bodies can revolutionize the world of dentistry, maybe doctors will take a closer look at the mollusk rather than bugging us to keep flossing! 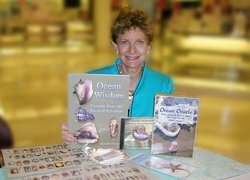 For more information on the incredible power of mollusks and other aquatic wildlife, check out my resources page or give me a call at 706-268-1014 today!